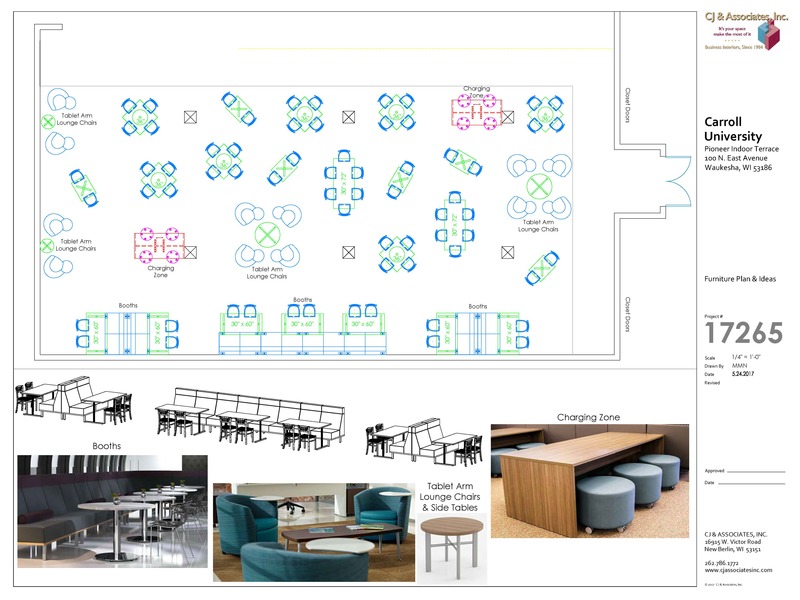 With the generous support of our donors combined with university investments, we have been able to transform the Pioneer Indoor Terrace to a brighter space with an open layout that is comfortable to all members of our university community! New paint, lighting, small seating pods, and a new furniture layout has been a welcomed addition to the Campus Center. 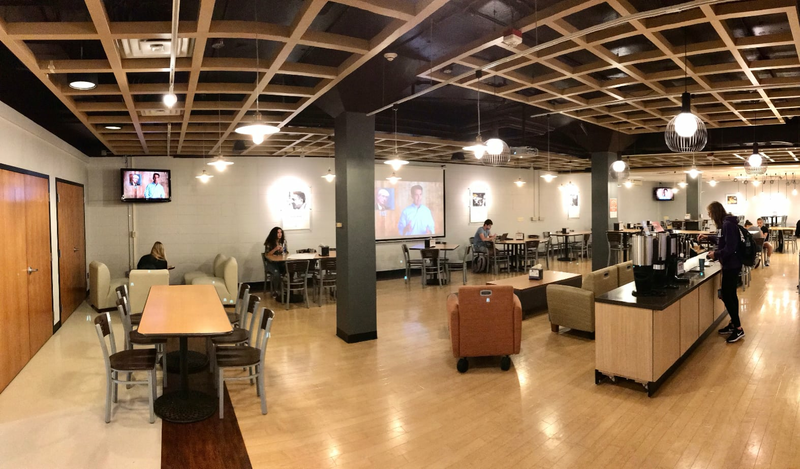 We have seen students staying and studying in this space instead of getting food and leaving – mission accomplished! A very large thank you, again, to all of our donors to this project and for showing your affinity for the PIT! 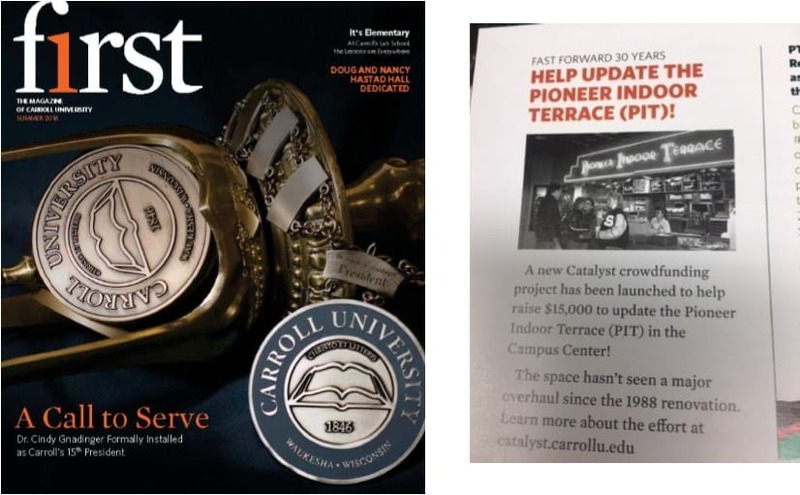 One more chance to donate to the Pioneer Indoor Terrace Update project! The article in the summer issue of F1RST mentioned the project, so we've re-opened the crowdfunding site until June 22. There's still time to be a part of our fundraising efforts! A huge thank you goes to the Carroll University Outdoor Adventure Club for their generous $1,000.00 donation to our project! 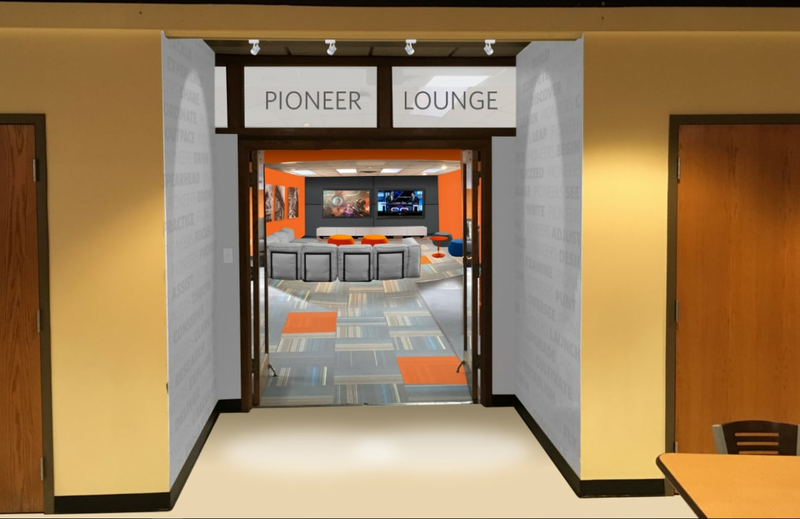 Because of this generous donation, here is another peek at what could come of the 'Pioneer Lounge'. 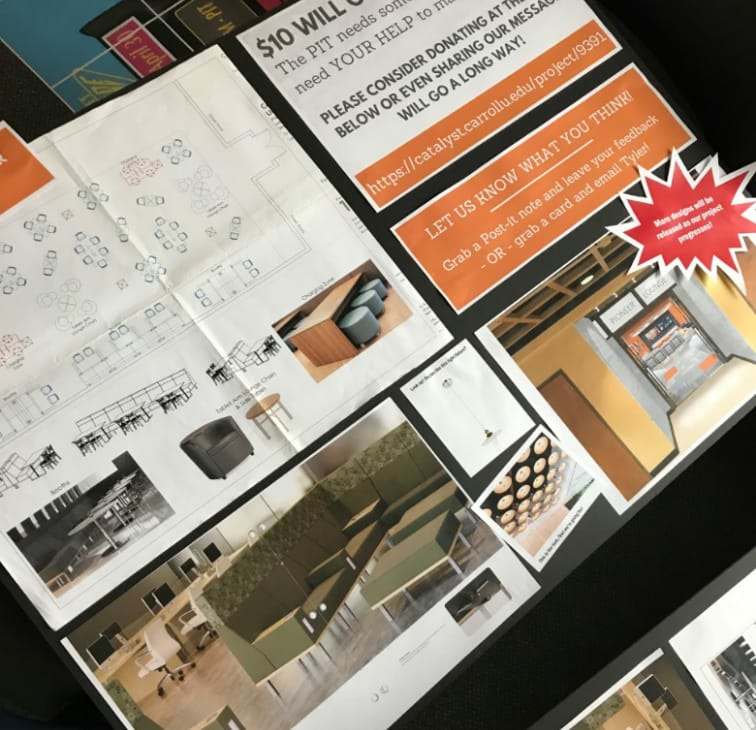 Yesterday we put out some design boards in the Campus Center lobby/PIT to show the community our vision and to gather feedback on the designs. OH, and we also released a teaser of the lounge designs adjacent to the dining space! More designs will come as our project continue to move forward! We're very excited to release part one of our plans to update the look and feel of the PIT space! Part two will be released when we reach a campaign milestone of $5,000.00! The Campus Center at Carroll University serves as a place where you can experience campus life, a place where you can feel welcome and at home, and a place where every visit is richly rewarded. We are the front door of the institution welcoming new students, families, alumni, faculty, staff, and guests on a daily basis. To put it simply, the Campus Center is a very dynamic environment. Now you may be wondering, why are we fundraising for the Pioneer Indoor Terrace (PIT)? Well, to put it simply, the space hasn’t seen a major overhaul since the 1988 renovation (shown below). We are constantly thinking creatively and strategically about our spaces and we have reached a point where we are asking for your assistance, we ask that you come along side us in this effort to rejuvenate the PIT. Below you will see the PIT in its current state. Students and guests continue to comment that the space could use some new paint; it needs updated furniture, lighting, artwork, and the list goes on! And we agree! Our crowdfunding project will provide new paint, lighting and furniture. The closer we get to our goal, the more of our list will get completed. Of the 3,459 students that attend Carroll if 44% of the student body donates $10 we will reach our campaign goal. Whether you're a First Year Student or Graduate Student the PIT is YOUR space, and $10 will go a long way! 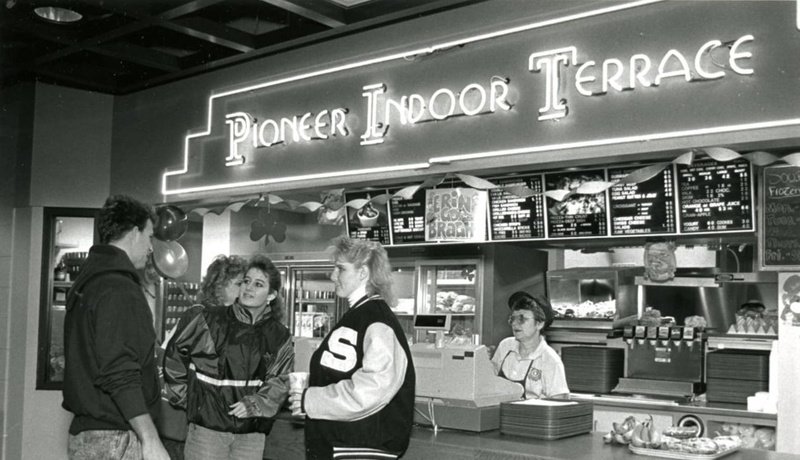 1988, the year Carroll unveiled the new name for the "Snackbar" in the Campus Center. 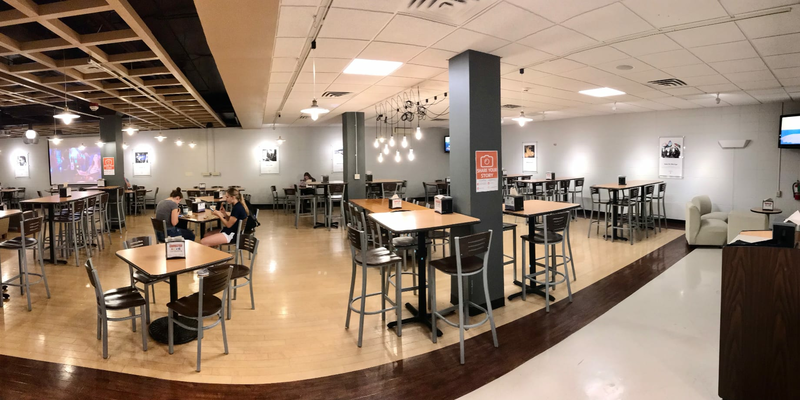 Alumna, Lisa Ziemer, submitted the winning entry (Pioneer Indoor Terrace - PIT) for the "Name the Snackbar" contest sponsored by the Office of College Activities and received $100 for her entry. Former Director of Conferences and Facilities, Roy's impact on students and the direction of the Campus Center after the 1988 renovation is still felt by university alumni today. Your gift of $180 can help fund new armchairs to enjoy your coffee, or group them together for a comfortable study group! Booths were made for talking! A gift of $200 will go a long way to helping fund new booths for eating, studying, or enjoying an acoustic artist! Who doesn't need a charging station? A gift of $500 can help make the PIT more accessible for our laptops, phones and tablets with modern charging hub stations. The Year it all Began! The student union, now known as the Campus Center, opens to the campus community!